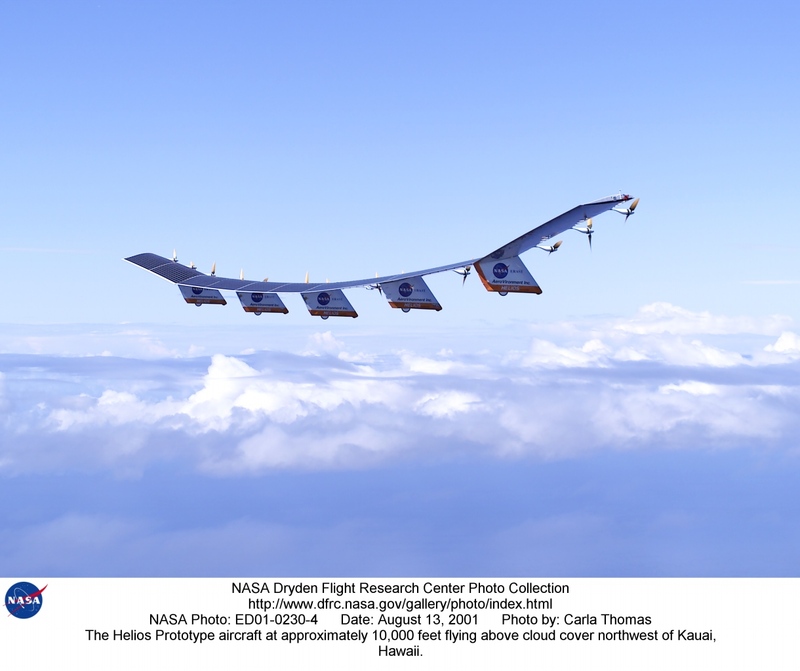 Explanation: An example of solar-powered flight, NASA's Helios aircraft flew almost one hundred years after the Wright brothers' historic flight on December 17, 1903. Pictured here at 10,000 feet in in skies northwest of Kauai, Hawaii in August 2001, the remotely piloted Helios is traveling at about 25 miles per hour. Essentially an ultralight flying wing with 14 electric motors, the aircraft was built by AeroVironment Inc. 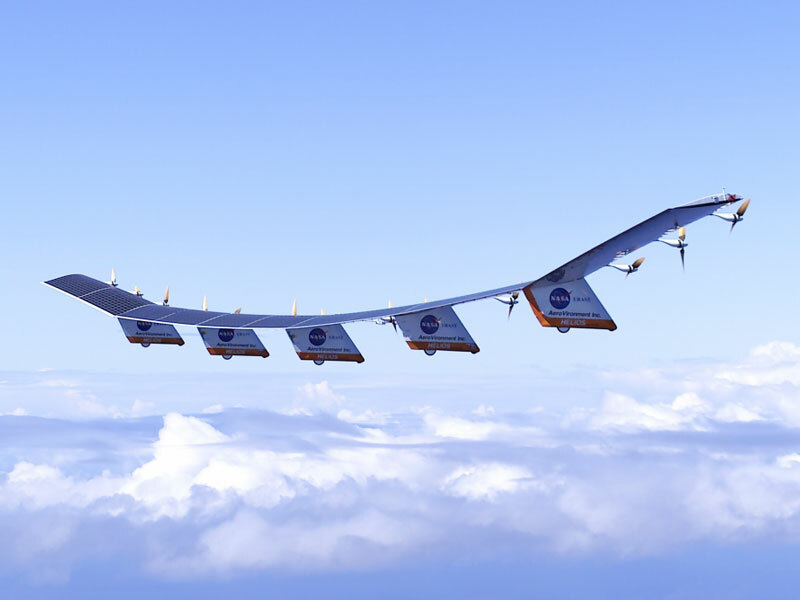 Covered with solar cells, Helios' impressive 247 foot wide wing exceeded the wing span and even overall length of a Boeing 747 jet airliner. Climbing during daylight hours, the prototype aircraft ultimately reached an altitude just short of 100,000 feet, breaking records for non-rocket powered flight. Helios was intended as a technology demonstrator, but in the extremely thin air 100,000 feet above Earth's surface, the flight of Helios also approached conditions for winged flight in the atmosphere of Mars.